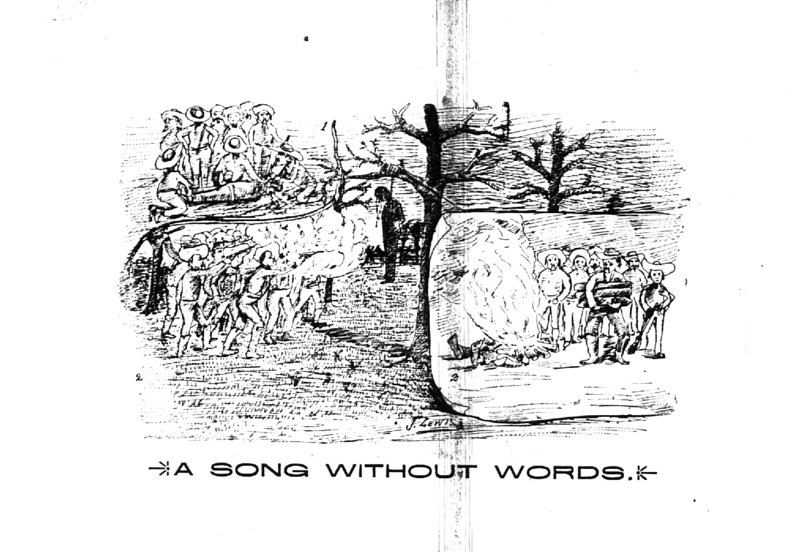 On the eve of local elections in 1895, the Indianapolis Freeman printed a previously-published drawing by the late political cartoonist Henry J. Lewis, entited "A Song Without Words." The drawing used inserts within the larger frame to tell the story of a lynching by hanging (1), shooting (2) and fire (3). The persistence of Lewis's artwork after the transition from the editorship of Democratic-leaning independent Edward E. Cooper to that of Republican George L. Knox, demonstrates that the paper's visual themes--of organizing, political activism and the vote--transcended political party affiliation.